This is one I saw the other day on a TV show. 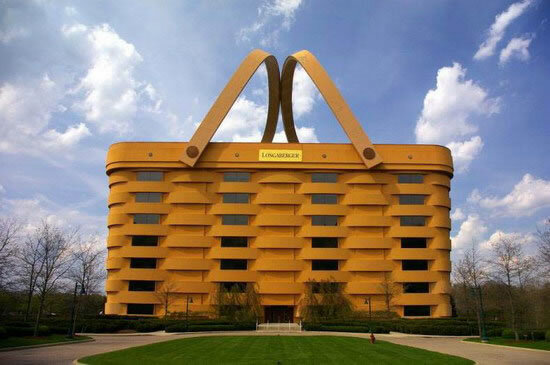 It is a real building! This one has popped up recently in Adelaide. Then there is this favourite of mine below that was announced as being sustainable and leading edge design. 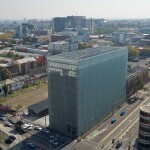 It is the RMIT Design Hub. 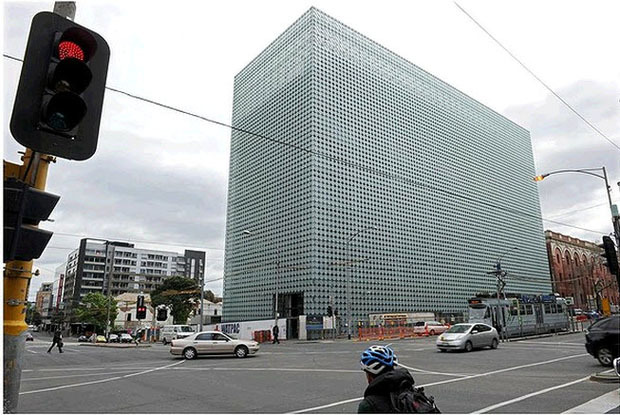 I suggest that it is a world leading example of blatant RMIT doing their worst green wash. 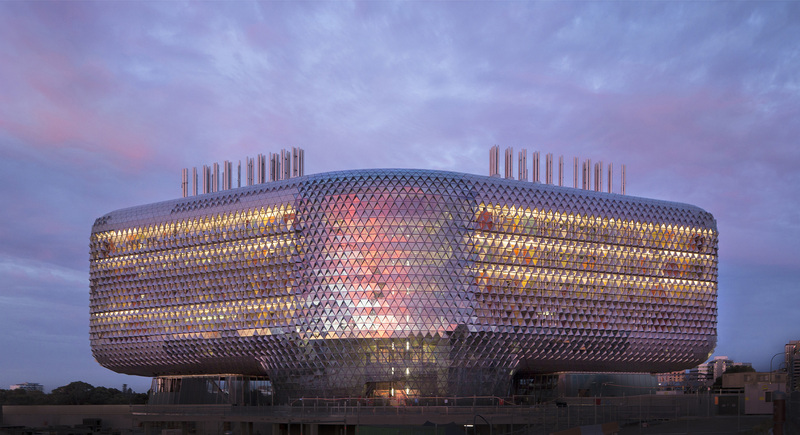 It is example of the faculty of architecture at RMIT saying that the streetscape, the people, the environment and the surrounding ambience of the place can go and get stuffed! It is horrible! What are they teaching in there! Out of the three, I would prefer the first – the true basket case. At least it is not pretending. As for the others, you can see no landscape or environmental concerns. They do nothing about enhancing the neighbourhood landscape. These architects still see architecture being about a single object and not the whole site, the environment and whole planet. As for architecture for enjoyment, forget it. 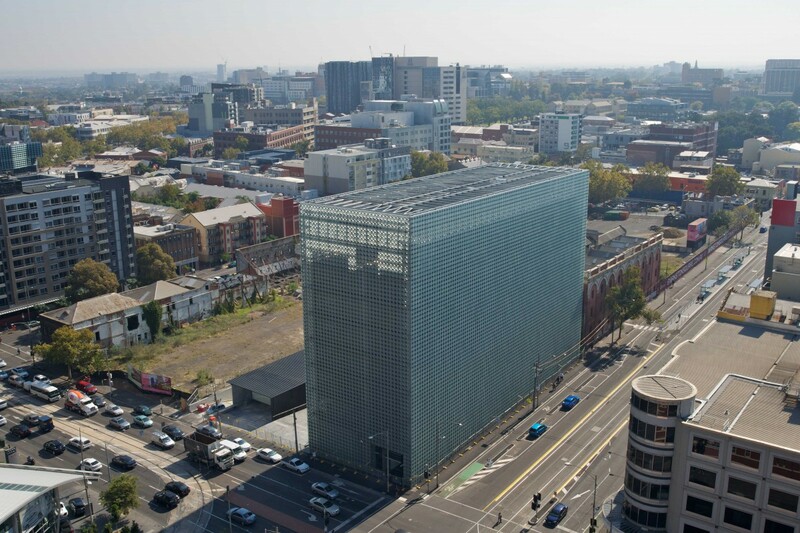 I say again, what are teaching in this RMIT faculty if this is where they are to learn. I have very recent stories about how bad things are in RMIT when it comes to student satisfaction despite the rhetoric that abounds. I will save those stories for another time!